Every time I tell myself no more Uggs, I buy more Uggs. Once you have them in your life, you never want to let them escape, one way or another. I did escape the classic short Uggs and replaced them with a pair of sturdier, rubber-toed winter boots. I thought I was content...I was wrong. We had a massive Ugg sale at work this past weekend and I was surrounded by new Uggs. Surrounded. I told myself repeatedly that I wasn't allowed to budge. I wasn't going to fall victim to the plush, warm exteriors of the boots...so I bought a pair of moccasins instead. I blame myself for wearing uncomfortable shoes to work that day and being on my feet for eight hours. But I looked this pair of moccasins in the eye and I felt a magnetic pull. I slipped my feet into them and from then on, it was game over. The second my toes touched that heavenly lining, I was a goner. I've barely taken them off since I've gotten them. What was my life like before a pair of house slippers like this? What was life like barefoot all of the time? These are literally my life's savior. Imagine how warm my toes are going to be when it starts to get colder outside and by default, in the apartment. Imagine it. I'm in heaven. Honestly, even if you don't get a pair of Uggs, invest in a pair of house slippers or moccasins. Greatest decision I've made in a long, long time. I'm a sucker for any and every Ellie Goulding song. She's been my homegirl since her first EP released in 2009. "Starry Eyed" sparked my love for Ellie and I've been trucking alongside her ever since. For the new film Bridget Jones's Baby, Ellie has released a new single for the soundtrack. It took a few listens to completely grow on me and ever since that third listen, I've been hooked. Absolutely hooked. It's just one of those jams, man. It's a pretty typical Ellie Goulding song, not quite as powerful as "Love Me Like You Do," but still enough to make me jam out in the car and in the shower. I also made sure to ask it to my fall playlist, if you haven't taken a glance at that yet. I have really been wanting to watch that show! It looks so relate-able! 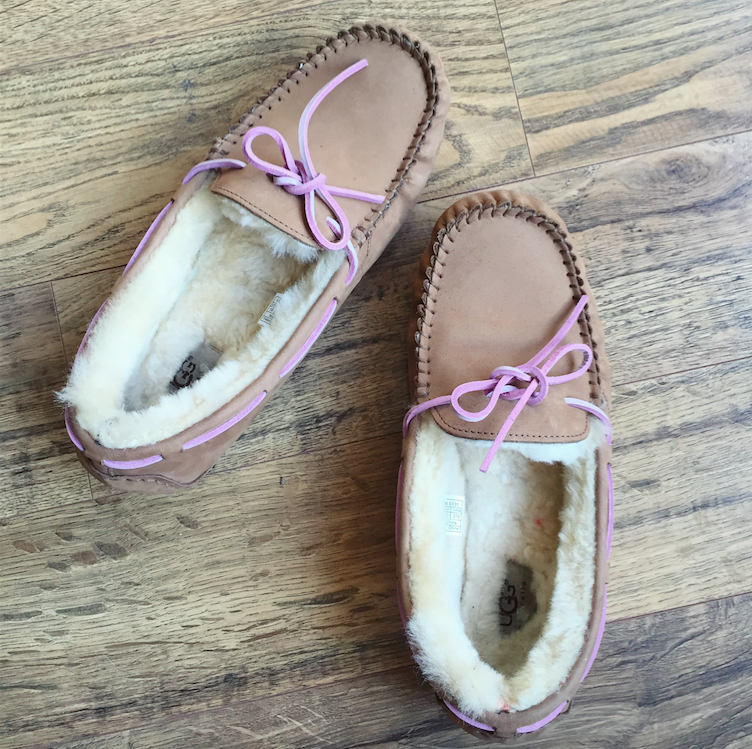 such a cute post, and those moccasins looks super cozy!